That's the plot talking. It's a bit complex, needlessly so in some areas. Bill Murray does not make an appearance. But psychic abilities do, so there. Well played, Sisterland. Well played indeed. *My real life sister is not a jerkface. I hope the plot isn't too complex, that can be off-putting. I have an ARC of this too - can't wait to get to it and share thoughts with you then! This book sounds interesting, and the GIFs totally made me decide to try to find my own copy! Love the review in GIFs! Fun review, Jennifer! This sounds very different to Prep, and not what I would've expected from Sittenfeld, but good all the same. The too much plot thing I can understand, she does seem to do that sometimes. I think I'm going to seek out Prep. I keep hearing about it :) I don't mind a meandering plot as long as it makes some sense at some point, lol. Your reviews in GIFS are great :) This book sounds interesting, and I like that Matt Lauer makes an appearance. What a great idea for a review format! 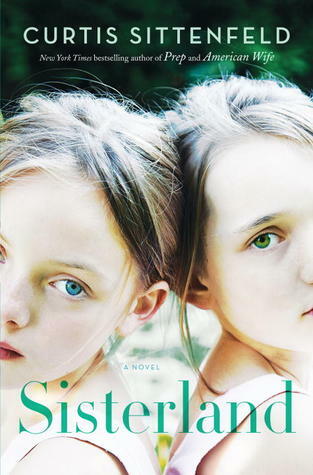 I read Prep and loved it but have promised myself I cannot get Sisterland until I read American Wife which is on my shelf. Need to clear those shelves - or make a dent at least! Thank you :) Good luck clearing your shelves! That's not an easy task, lol. I have an image in my mind of those twins in The Shining. Ha ha, they aren't quite that creepy in this book ;) Thanks! My favorite part of this entire review is the * that your real sister is not a jerkface. Of course, if she was, you probably wouldn't tell us, would you? Great review-saw your Monday posting- I am also in the middle of Maya's notebook-how are you liking it?